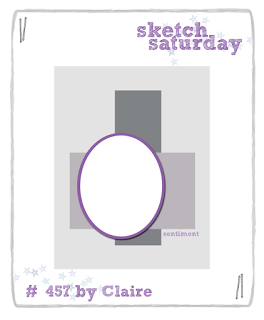 This week's Sketch Saturday challenge is sponsored by M. Medel Illustrations, an Etsy shop which sells digi-stamps and colouring pages. I hadn't seen any of their work before, but really like it. Definitely worth a visit. One lucky winner gets 2 free images from the challenge. I used 'Christmas Singing Bear' on my card.